Hi everybody! Its Wabbita again :) I'm so excited to do my second Memebox unboxing for you guys! Here is a little information about Memebox in case you haven't heard or know about them. 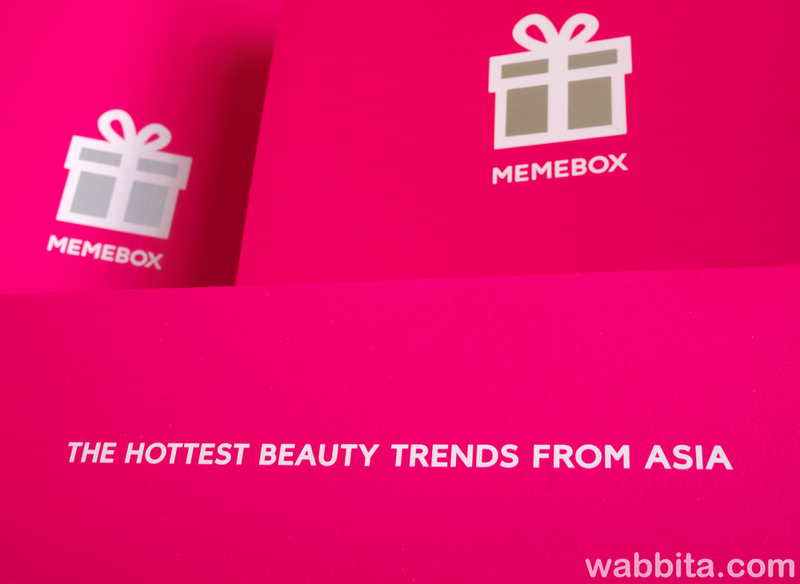 Memebox is the No.1 beauty box in Korea and they have different boxes and theme boxes to choose from. The good thing about Memebox is they don't charge you monthly like other subscription beauty box. You pick, choose and purchase the beauty box that you want, its your choice whether you want to purchase it or not. 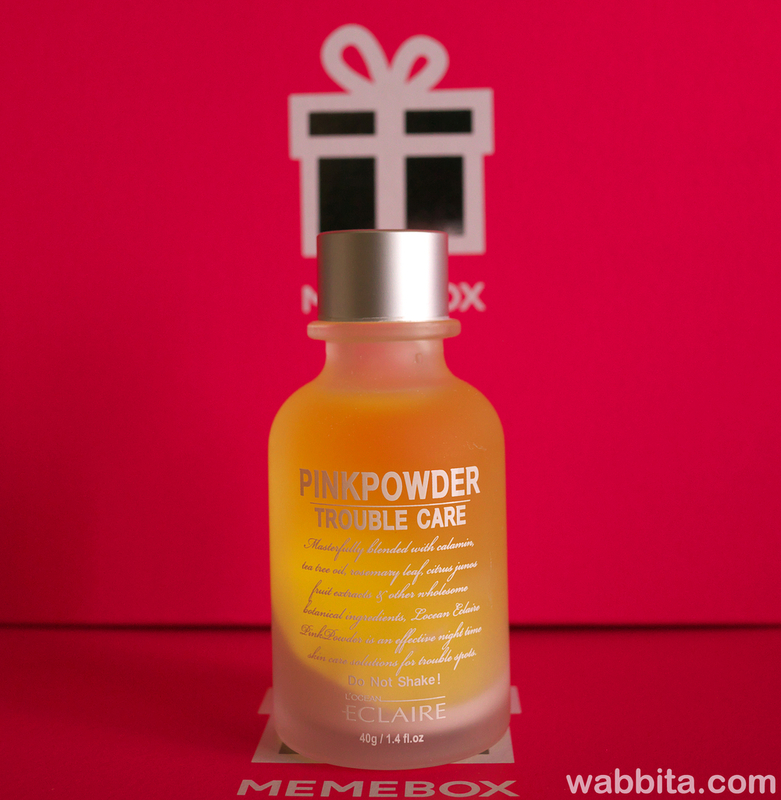 For more information or if you are interested about Memebox please check it here. I really enjoyed the first Memebox I unboxed. I actually liked everything I got. If you haven't check my very first unboxing please check my previous blog and see what products i got. Lets start my second Memebox unboxing! I am looking for a products that help my oily skin and I love to try new products so I decided to purchased this box. Its the MEMEBOX SUPERBOX #28 FREE FROM OIL & TROUBLE 3 I purchased this box for $32 + $6.99 shipping! Here is what it says on the information card. Tired of being a shiny face Cinderella by the time the clock hits 12? Turn down the shine and control excessive sebum with you face with our FREE FROM OIL & TROUBLE #3 This box is the ultimate go-to box covering those pesky little pimples,treating blemishes,kepping skin matte all day and shooting troubled yet sensitive skin. Our oil absorbing products are proven to work fast , so that your sking is left refreshed ,smooth,blemish free, and healthy-looikng! Here are the them all together. Some of the item i got from this box were replaced from the original items they put in the box due to back ordered.On the bright side they replaced the Milky Dress Anti Trouble Body Mist and Yuri PIBU Parsley Herb Toner with THE SKIN HOUSE Sponge Tightening Mask and RECIPE BY NATURE Spray Water Essence and they also upgraded one item LOCEAN Pink Powder from 20 ml to 40 ml. It would be nice to get the original items from this box but since they replaced it with products that I also wanted to try, I'm not complaining. Here are the items that I got. How to use : Massage the foam cleanser onto your face and rinse off with warm water. This is a set of cleanser that you use for morning and night. The morning cleanser ingredients has argan seed oil, edelweiss extract for gently cleansing away dead skin cells without dehydrating your skin. While the night cleanser contains stronger cleansing formula for getting deep into all your pore-clogging impurities and makeup residues. I cant say anything about this product except you have two different kinds of cleanser you use during the morning and night. How to use : After basic skincare application,apply the ampoule over areas of your face in need of pore tightning and gently pat it in for absorbance. I actually don't know what an ampoule is? This is the first time i received an ampoule. I assume its a different type of serum?I'm excited to try this one! How to use : Spray on all over the face after cleansing the skin. I never been so excited about a spray essence! This is one of my favorite product from this box! Its very hydrating ,refreshing, moisturizing and feels good on my skin and the mist are very fine too. I used it at night after i washed my face. But i think you can use it anytime during the day or night or whenever you feel like you need more hydration to your skin. Even though I didn't get the Milky Dress Anti Trouble Body Mist I'm glad i got the spray essence water and I really love this product . I recommend using this product specially during hot summer! How to use : After cleansing the skin, apply the mask all over the face avoiding the eye and mouth regions. Leave the mask on for 10 - 15 mins. Wash with tepid water. For best results, apply a toner or pore tightening serum. I think the packaging is nice and it has a little spoon thing that you can use to scoop out the product and also for sanitary purpose so you don't dip your fingers in the container. It really looks like a sponge when you open the container and smells nice. The smell is not strong at all, Its like soapy scent. When i apply to my skin it felt really nice and cold. When it gets dry, My face is so stiff and felt very tight on my skin. 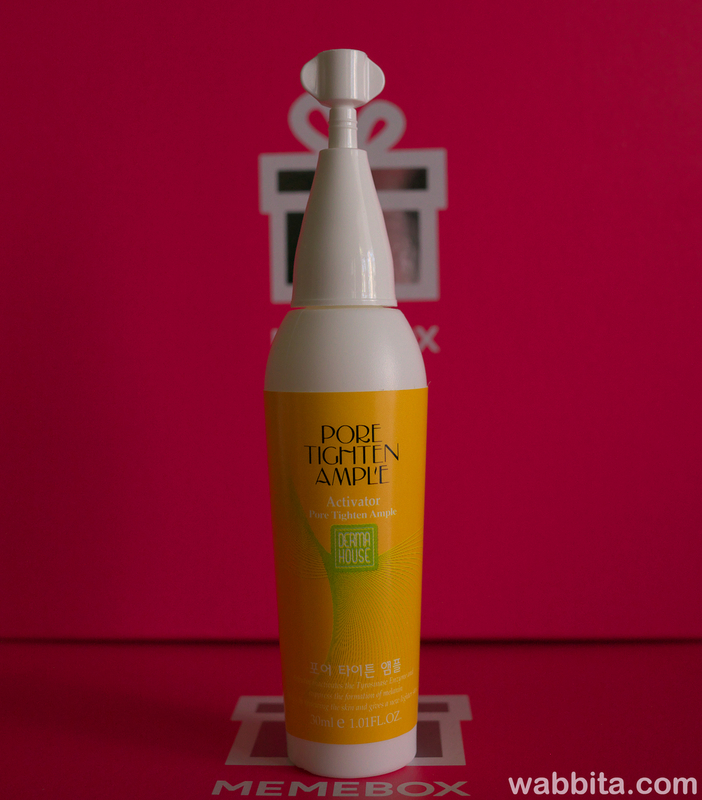 I really enjoyed this product and also one of my favorite from this box. How to use : Do not shake the bottle and wait until the two different layers divide. Take a cotton bud and dab it into the pink powdery bottom layer. Apply it on red red spots and blemishes, wait until it dries, and then go to bed. 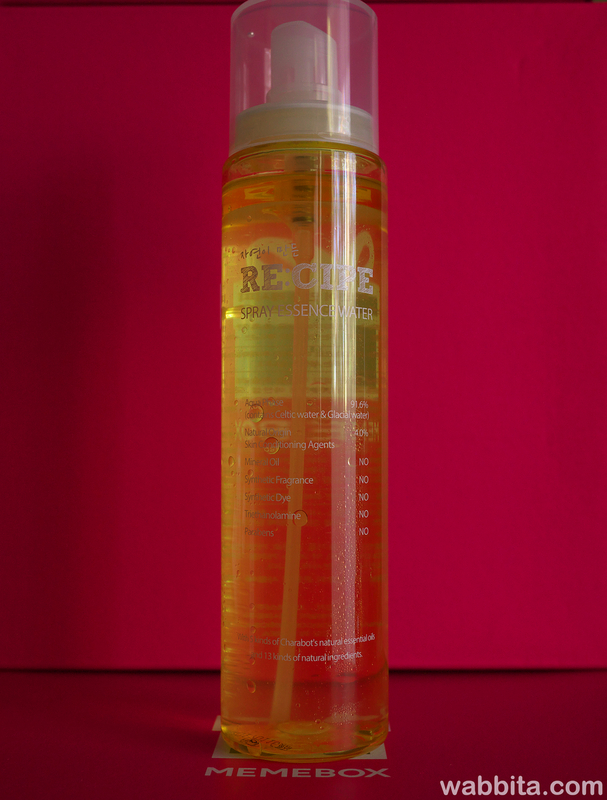 Its best used at the end of skincare routine and overnight. This is also new to me. I never use anything like this before. I really like the packaging and I think its cute. They upgrade the size of this bottle to full sized due to back ordered issues.Some of the items that i also got from this box were replaced!The only thing I don't like about this product is the scent is very strong like alcohol maybe but very strong! I'm excited to try this one! I don't know if the card is right or wrong! The direction on how to use it is like "sprits onto the fabric,clothes and anywhere else for instantly refreshed feel." I'm really confused about this one I thought this is a face powder. I'm hoping this is for the face but the description says its for your body. Can anybody please tell me if this is for the face or body? I liked this box. I'm not really sure about the Tosowoong Silk Touching Powder should i use it for my body or for my face?! Please if anyone of you who have this powder please let me know if its for the face or body. The foam cleanser set is OK, But I have to finish the other foam cleanser that I got from my previous box. I really enjoyed the Recipe by Nature Spray Essence Water and the Skin House Sponge Tightening Mask those are the 2 products that I really liked from this box, I'm also interested to try the Ample and the Pink powder. Even though they replaced some of the items, Overall I liked most of the product I got from this box :). I hope you guys like my unboxing. I hope you enjoy reading my blog :) Please like it, share it and leave some comments. Thank you! Stay tuned for more unboxing! Have a nice and wonderful day!